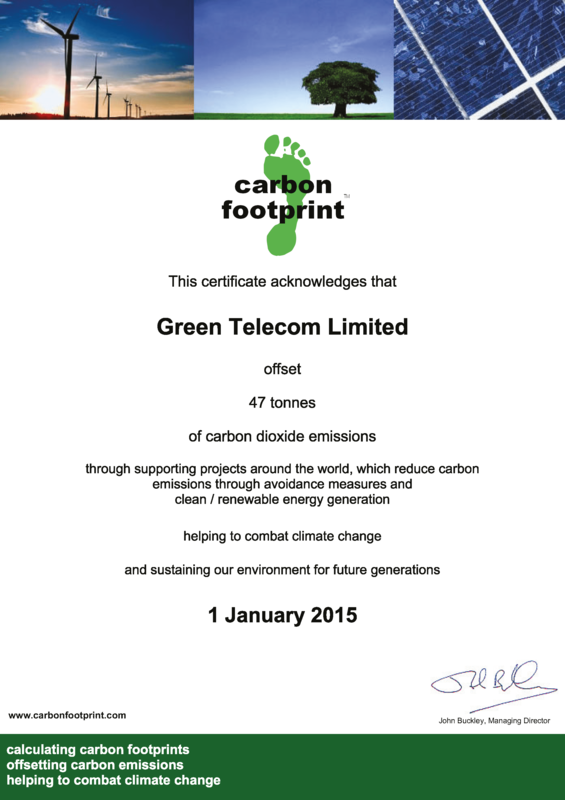 Committed to reducing our carbon footprint, Green Telecom have planted over 700 Biodiversity Trees throughout the UK, creating wildlife habitats and helping to secure a healthy biodiverse ecosystem. For every new telephone system installed, Green Telecom arrange for a broadleaved tree to be planted to offset carbon dioxide emissions, helping to prevent climate change and creating space for wildlife. All trees are planted in reserves and managed woodland where they will live their natural lifespan and meet their biodiversity targets. The planting scheme is endorsed by Bill Oddie, the TV Wildlife celebrity and conservationist. All Green Telecom clients receive a personalised certificate featuring & endorsed by Bill Oddie, acknowledging their contribution to the environment. Each tree planted “offsets” your environmental impact by “breathing” in about 730 kg CO2 emissions over its lifetime. The trees also provide sustainable habitats for wildlife and enhance the natural landscape with native broad-leaved trees. When choosing Green Telecom as a supplier, clients have the peace of mind that they are making a real difference to the environment. In addition, their ‘green minutes’ call usage ensures ongoing Carbon Reduction Commitment scheme support. For more information on specific projects that we have been involved with click on the PDF’s below.